This is a gruesome scene photographed on May 2012. About half of the worlds estimated 3,200 tigers are found in dozens of Indian tiger reserves set up since the 1970s. 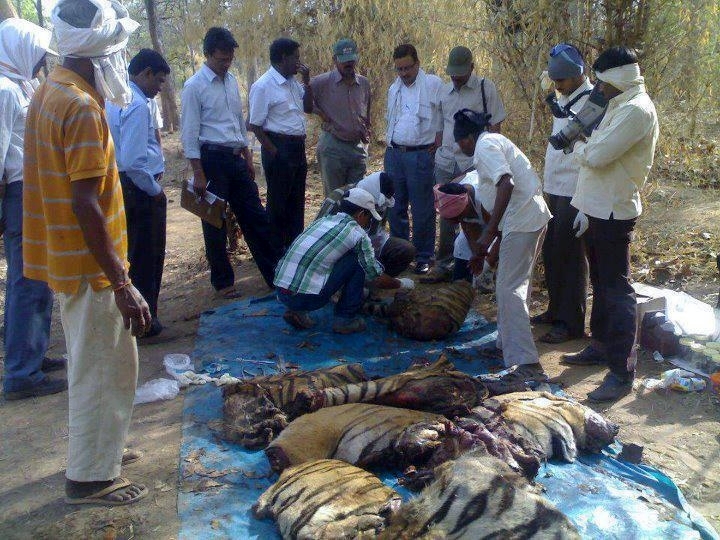 In mid May 2012, while international and national Tiger conservationists, NGOs, and many others were busy in Delhi, counting the world’s tiger population, discussing and deliberating over cocktails in 5-star venues, poachers after trapping and killing one more tiger cut it into pieces. This heinous carnage took place around 15 km from Tadoba-Andhari Tiger Reserve (TATR), Chandrapur, Maharashtra – the oldest and largest National Park in the state, and one of India’s 41 “Project Tiger” Tiger reserves. Now, Maharashtra has declared war on animal poaching to curb rampant attacks against tigers, elephants and other wildlife. They have issued a “Red Alert” in the State anticipating such incidents of tiger poaching. 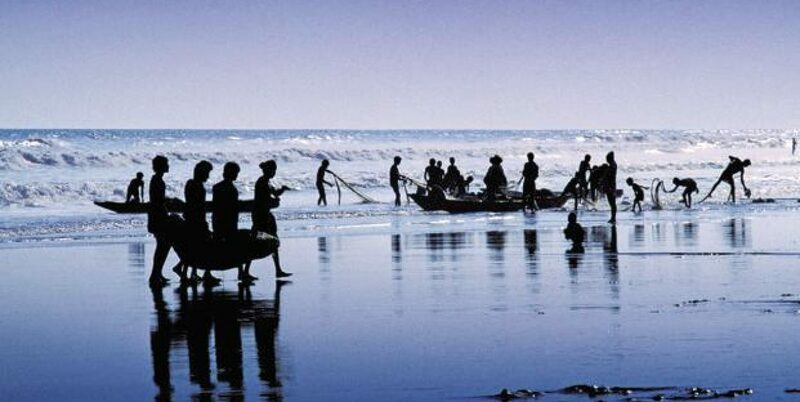 Nevertheless, the poachers have defied them and have enacted this heinous act. On April 26, a tiger was found killed and another seriously injured in the Tadoba reserve. On May 18, this tiger was found cut into pieces by poachers believed to be of Bahelia community of Katni, Madhya Pradesh. The poachers took with them the head and paws of the tiger and had left the remaining body. On May 20, three leopards were found killed. They might have died of electric shock. After these incidents of carnage, Patangrao Kadam, the state’s Forest Minister said that the high-powered committee of forest officers took the decision to empower their state forest department guards with logistic support and orders to shoot poachers on sight in Maharashtra’s four tiger reserves. He also announced that 523 new guards will be recruited soon and deployed at four forest reserves of the state – Tadoba, Pench, Melghat and Sahyadri. “Killing poachers won’t be considered a crime and no case will be registered if the forest staff catch them in the act and open fire. The guards have been provided with state-of-the-art arms. They will also be given 100 vehicles. The department has been given more funds for hiring informants,” Kadam said. Further, Minister Kadam said that a CID will probe the death of two tigers at the Tadoba reserve to find out whether they were electrocuted or poached. A committee of four forest officers will conduct a parallel inquiry in to the death of the tigers. Previous PostWhat do you think?Next PostIs it?